A simple landscape of the the dry stream beds that cross the foothills of the Sangre De Cristo Mountains. 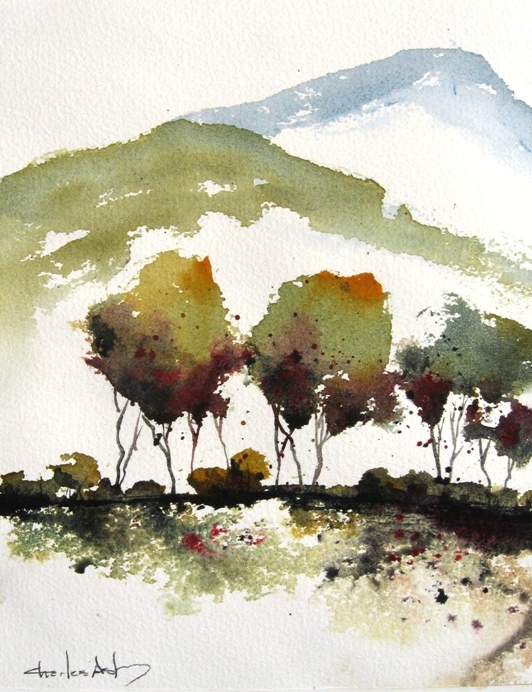 Another of the painting-a-day series of small watercolors using a writing brush on rough watercolor paper. 9" x 10" image size, matted and ready to frame.